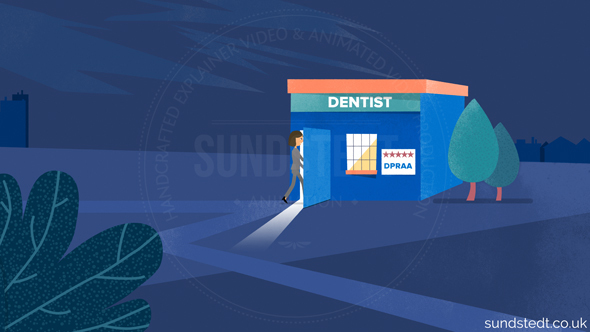 DPRAA Animated Explainer Video: The Dental Practice Rating Association of America (DPRAA) is the leading professional rating organization for dental practices in the United States. Are you looking for a new dentist? 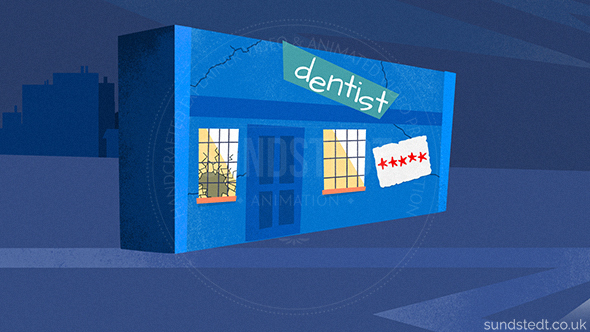 How do you know which dentist is the best choice for you? 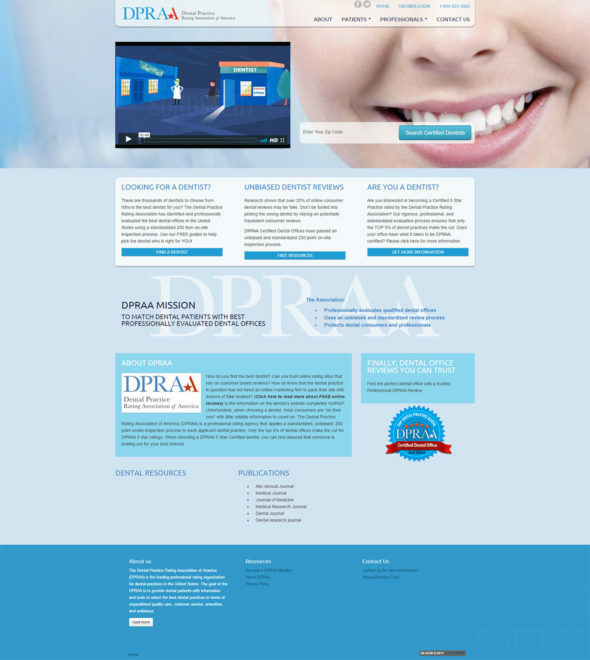 Meet DPRAA: The goal of the DPRAA is to provide dental patients with information and tools to select the best dental practices in terms of unparalleled quality care, customer service, amenities, and ambience. 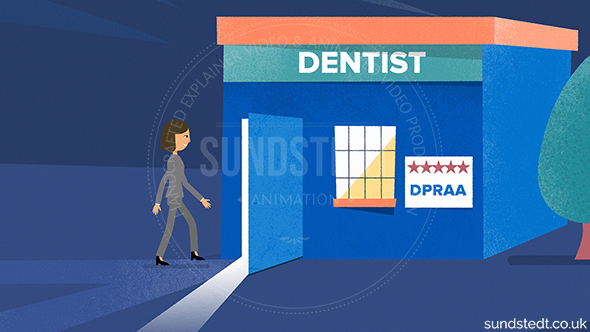 DPRAA came to us looking for a creative animated explainer video to present their association to dental patients. 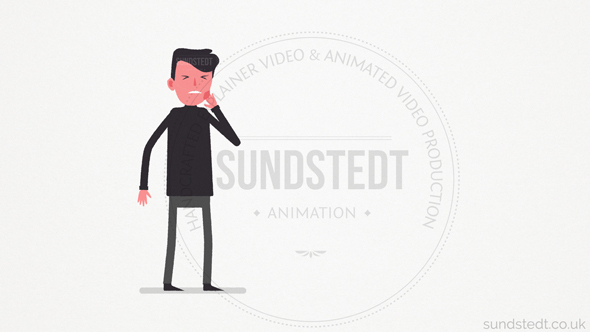 The video by Sundstedt Animation will be the main introduction for the DPRAA site so it was very important for it to be right. For DPRAA, it was important to use a character-based story, so we used characters and animation to make the video visually stimulating. 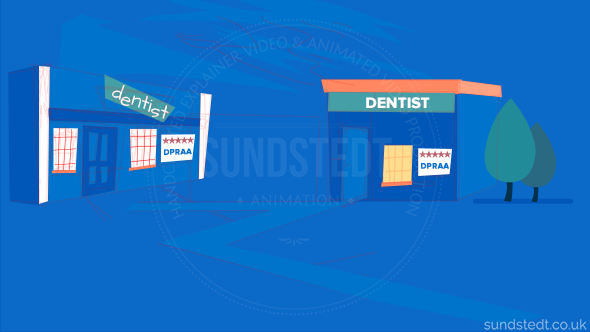 We asked the client to provide a script and stick figure storyboard for the DPRAA Animated Explainer Video. We then came up with the visual style, designs, characters, artwork and backgrounds for the video, all handcrafted from scratch. 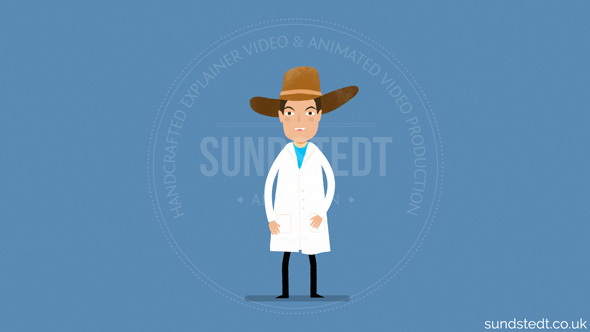 We decided to go for a detailed design of high complexity in animation and artwork, including walking characters. 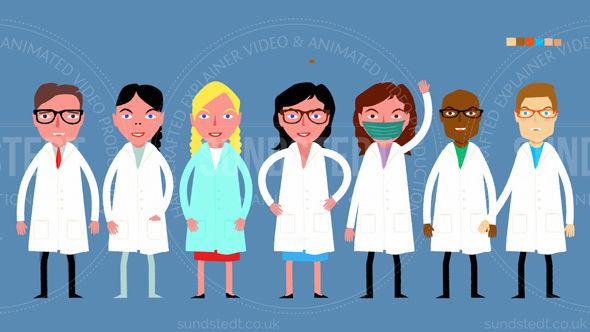 We designed the characters and this video features a lot of characters, so artwork and illustration took a long time to create. We wanted to make sure everything looked cohesive and we had all characters and scenery approved by the client before animation. We even shot and studied real video footage of us typing on a keyboard, for reference to one scene where the character is typing, to make it look more alive and convincing. 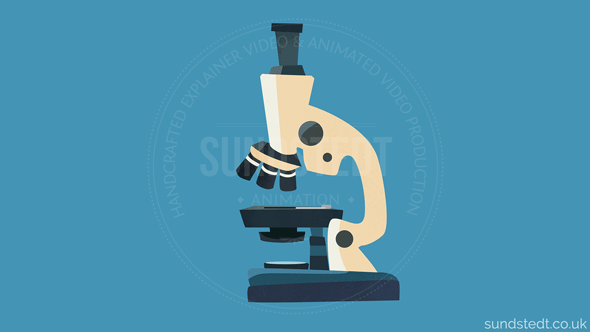 Then the voice over was recorded and animation of each scene started, based loosely on the approved storyboard for the DPRAA Animated Explainer Video. This gallery shows some work in progress and behind the scenes images from the DPRAA Animated Explainer Video production, including unused items.